Life can be tough…but God’s love is tougher. Do you know someone who is recovering from surgery this summer? Sometimes recovery and rehab can seem like a long journey that’s all uphill. Perhaps a friend or family member was downsized or heard disappointing news. Share hope and encouragement through a Words of Faith card. 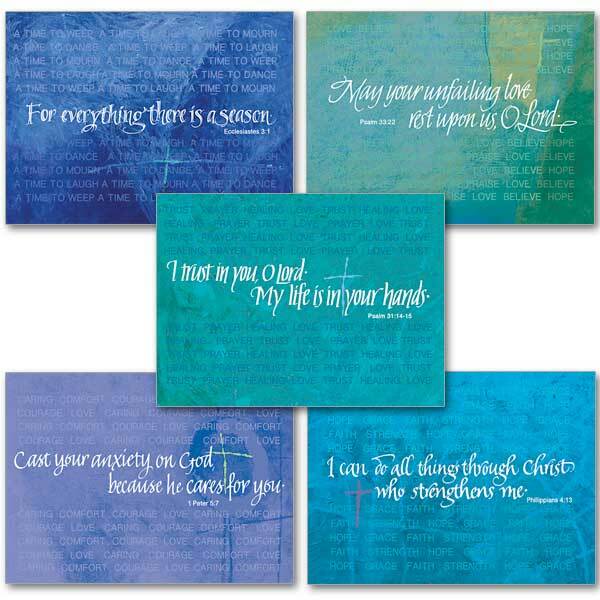 Inspiring, encouraging and hopeful, cards in the Words of Faith Collection can help to restore spirits with God’s word. Let the power of Scripture coupled with uplifting messages help someone who needs encouragement. Be a bright, hopeful blessing in someone’s day. This entry was posted in Inspirational Cards, Religious Gifts and tagged Recovery greeting cards, The Printery House, Words of Faith on July 31, 2015 by Printery House.